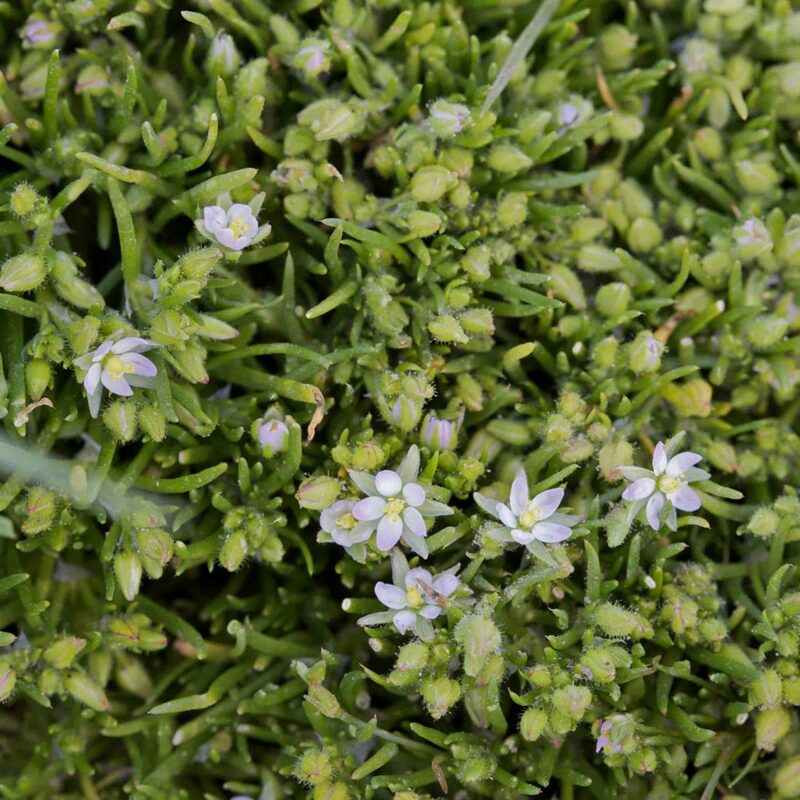 Common. 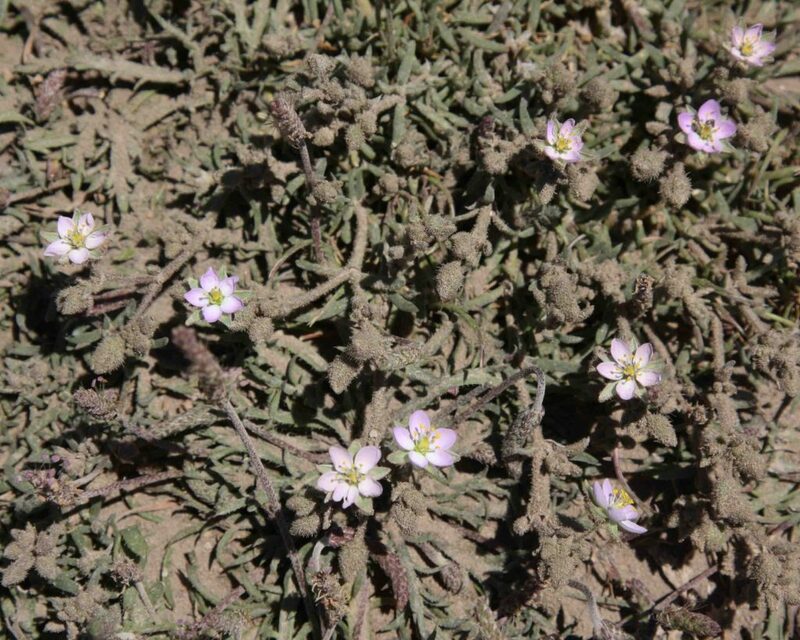 A smallish, generally delicate branched plant with whorled linear leaves. 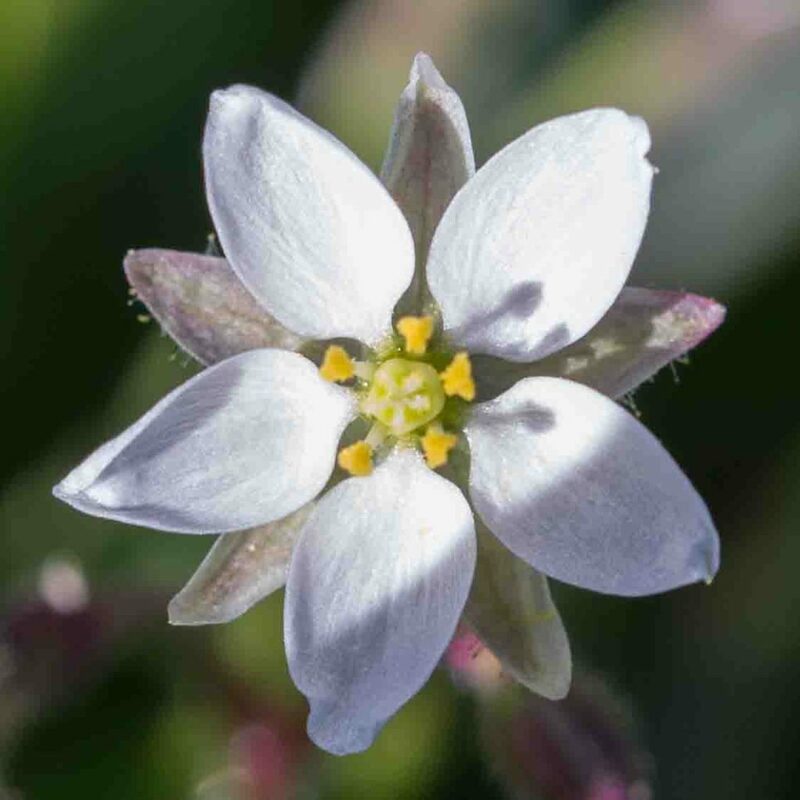 It has distinctive, pure white, 5-petaled flowers with sepals alternating with and behind each petals, creating the star pattern which gives the plant one of its common names. 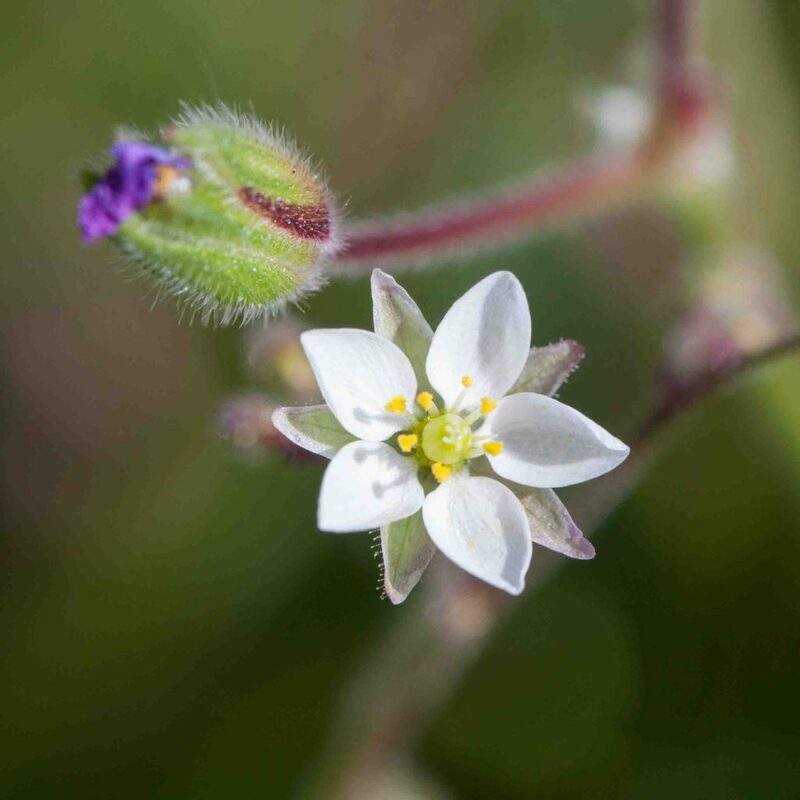 The stigma is 5-lobed and there are either 5 or 10 stamens. 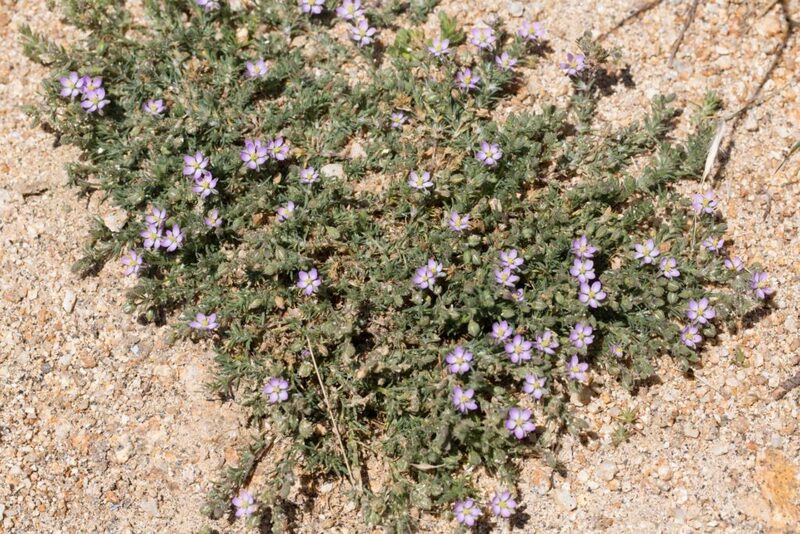 Sometimes known as Spurry. 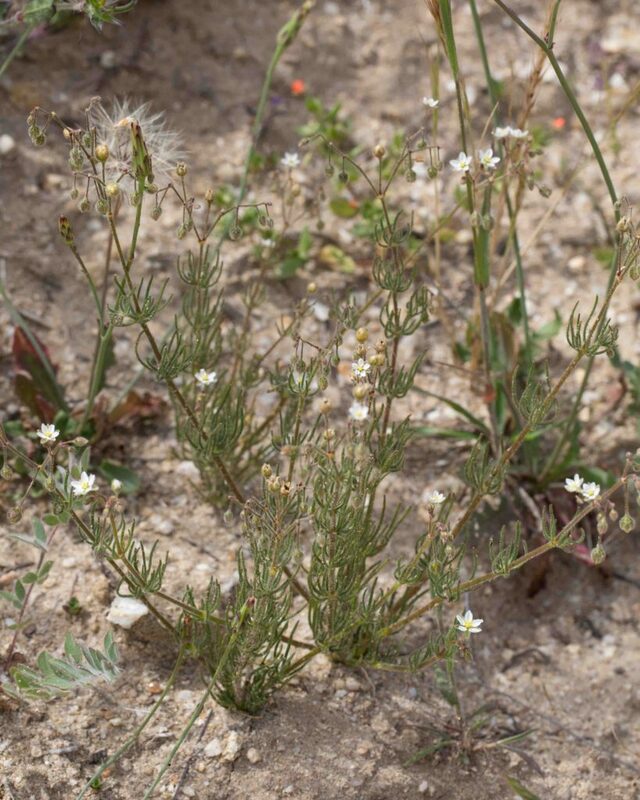 Similar to Sticky Sand-spurrey (Spergularia macrotheca) but much smaller and more delicate. The right hand photo shows both for comparison. 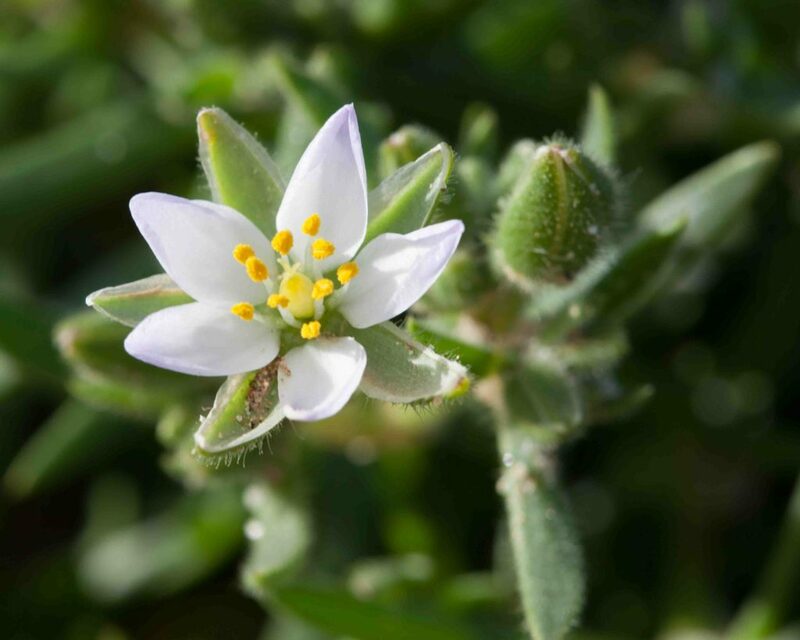 Flowers have 8–10 stamens, unlike the very similar Saltmarsh Sand-spurrey (Spergularia marina) which has only 2–5. 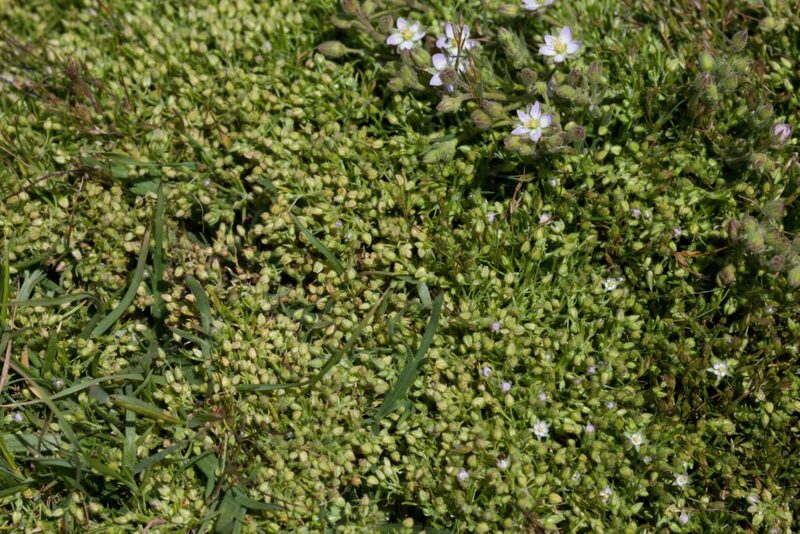 Leaves are in clusters of 0–2. 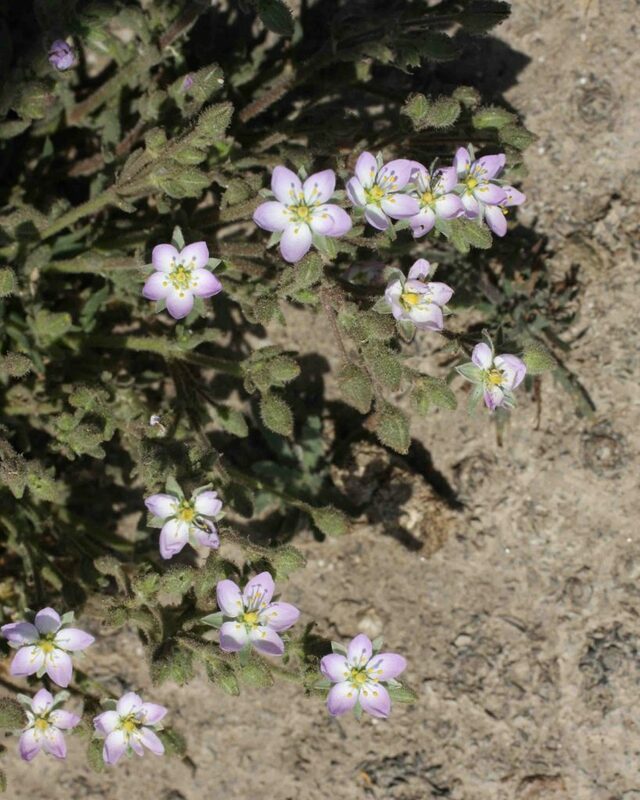 A common coastal plant with white, pink to rosy or even blue 5 -petaled flowers. 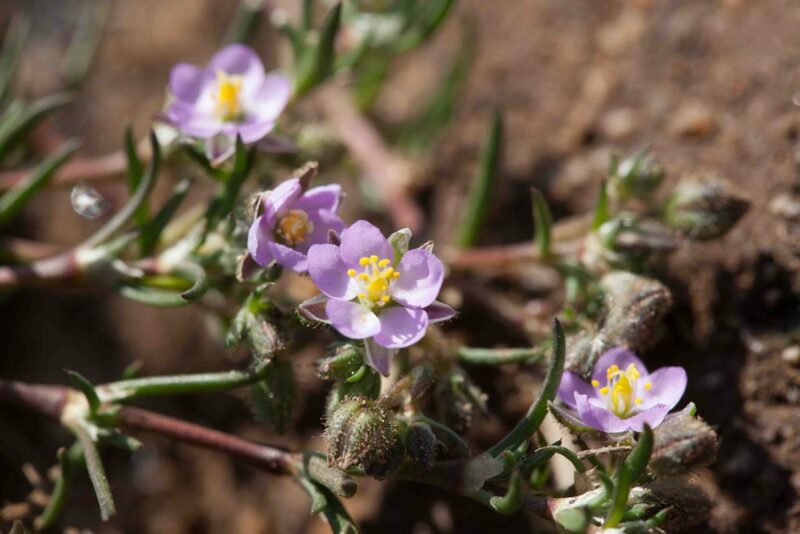 The stigma is 3-lobed (unlike the 5-lobed stigma of Stickwort (Spergula arvensis) and there are 9 or 10 stamens (compared to 5 or 10 for Stickwort). 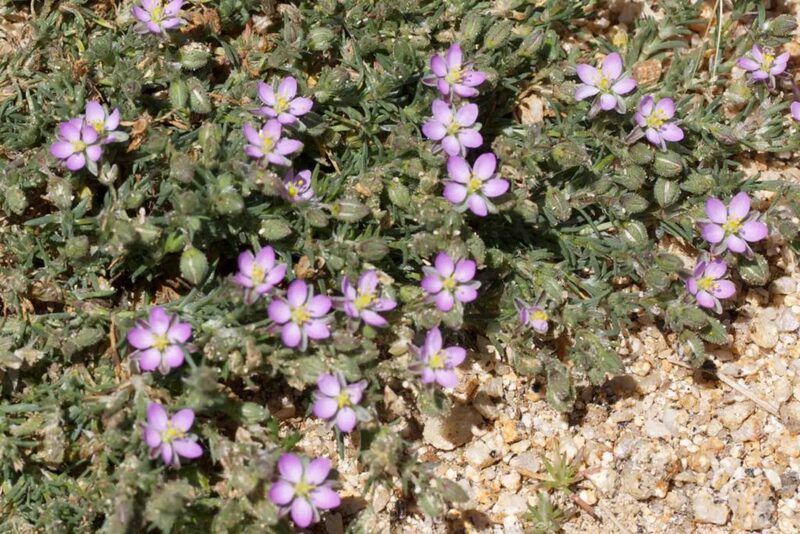 Sepals are 4.5–7 mm, the longest of any of the native sand-spurreys. 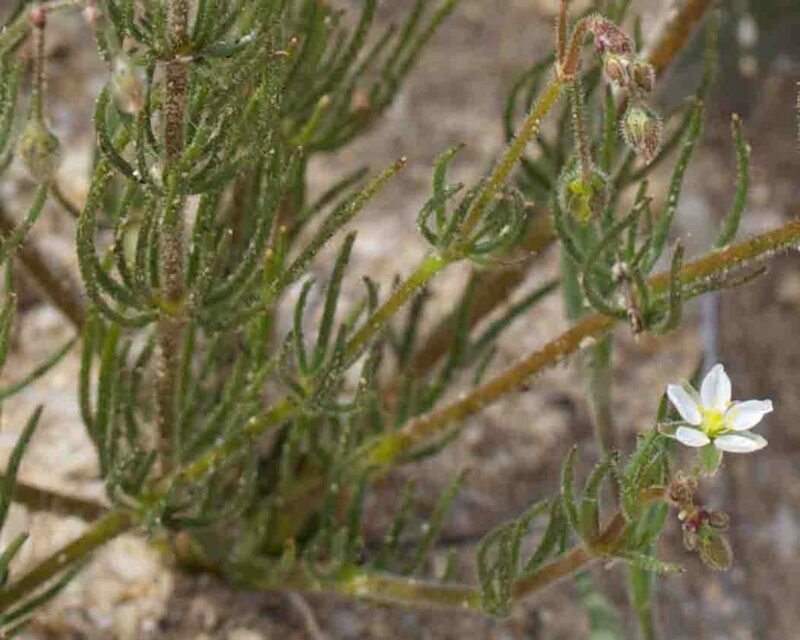 Narrow, fleshy leaves are 1-2 per cluster. 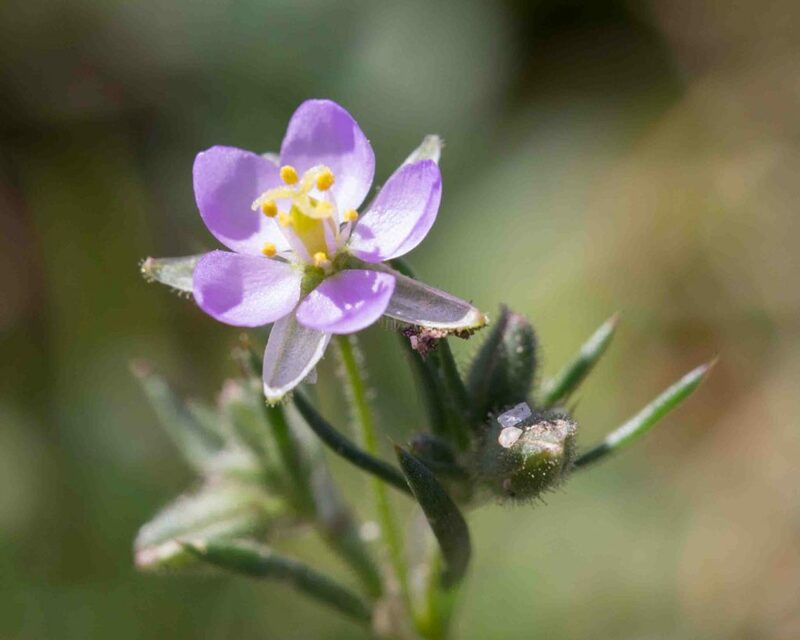 A common, low-growing plant wth many pink to lavender flowers with green to purplish sepals. 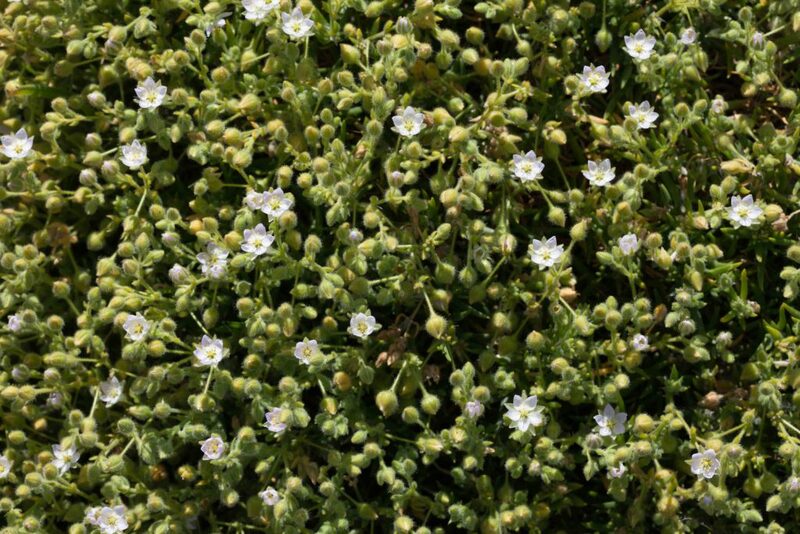 Leaves are barely fleshy, 2–4 per cluster. 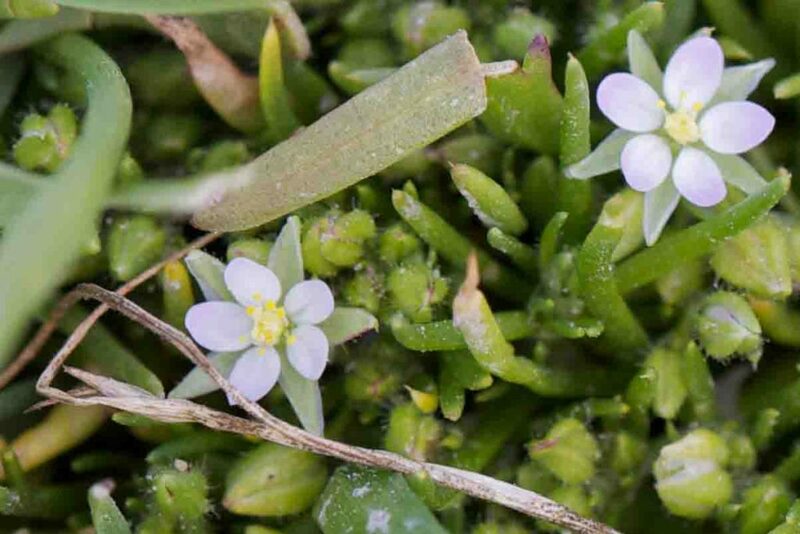 There are 2–10 stamens and, like other Spergularia, it has a 3-lobed stigma.